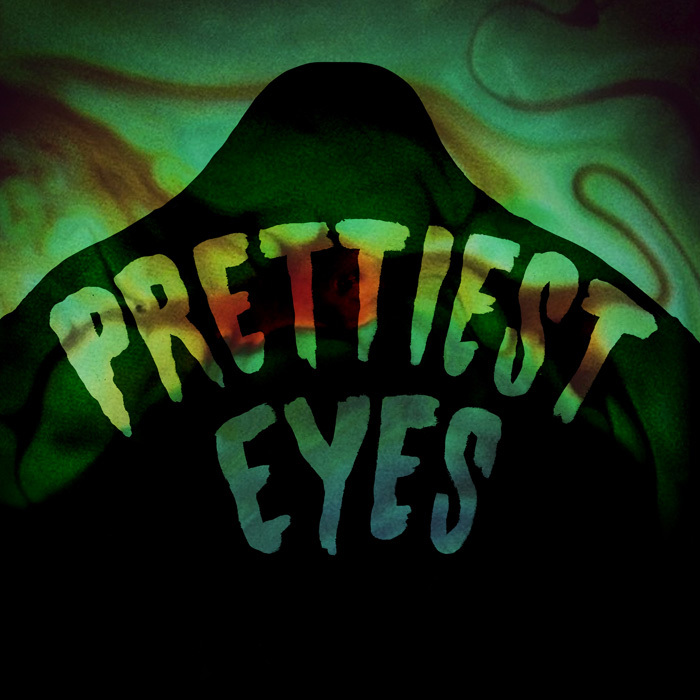 “Forming amongst the toxic sludge in Los Angeles sewers rises the city’s greatest new threat, the PRETTIEST EYES. Their new album, LOOKS, is set to be released by Aagoo Records on February 19 (US) & March 9 2015 (Europe), on vinyl and digital formats. The band crafts a completely menacing blues-based sound, attacking from all angles and firmly keeping their feet in the murky pools of psych and noise. Originally from San Juan, but now based in LA, the band operates as a three piece – Pachy takes care of the drumming and vocals. Marco plays bass and Paco plays keyboards, and both together provide backup singing. Their album packs a psychedelic punch like the best of their California-based brethren, elevating songs from wild to straight-up berserker status. The three-pronged vocal effort calls to mind Florida’s Jacuzzi Boys or even Hungry Gayze. The end result yields a nerve-racking blend of prismatic psychedelic punk, loaded with razor-sharp elements and buzzing keyboards processed through effect pedals for an excruciating crunch. “Out of Control” immediately kick-starts the record with a looming sense of doom as you surf through the waves of a dark, moonlit beach. The ravaging energy spills over into “Get Away”, revealing the sharp, metallic twists of keyboards in a caffeinated psych-pop anthem. “The Eye” is a premium example of their savage synth-punk abilities, spearheaded by robotic vocal chanting, low-end bass chugging and the constant regurgitation of splattered keyboard beams. “El Huelebicho” is sung entirely in Spanish and features AJ Davila and Kianí Medina. “Not OK” slowly boils in a grunge-coated cauldron – the pot is swirled by a swell of scaly guitar textures and rumbling bass as Pachy moans and wails in agonizing fashion.